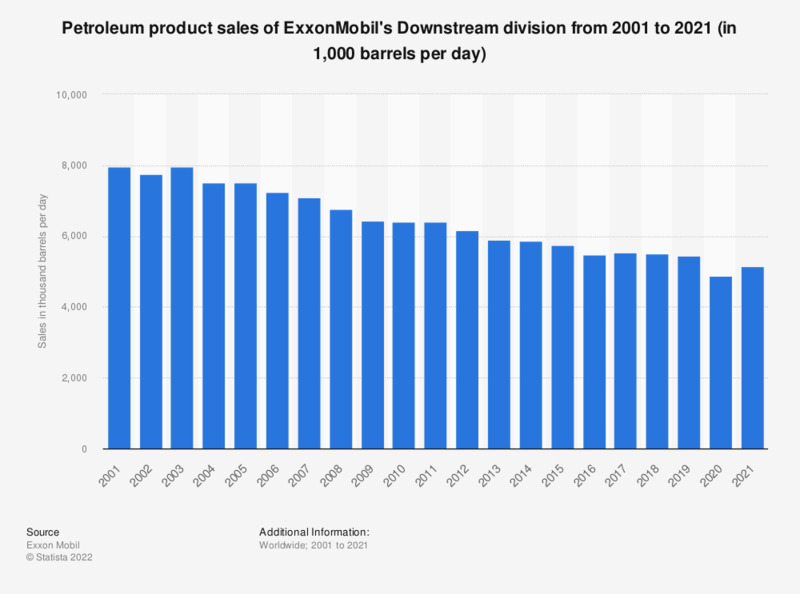 This statistic shows petroleum product sales of ExxonMobil's Downstream division from 2001 to 2018. In 2018, this division had average sales of 5.5 million barrels a day. ExxonMobil is a United States-based multinational oil and gas corporation headquartered in Irving, Texas. This statistic was assembled using several editions of the report. Everything On "ExxonMobil" in One Document: Edited and Divided into Handy Chapters. Including Detailed References. Real value of petroleum imports into the U.S.